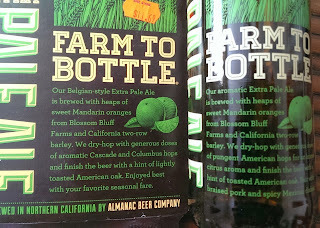 I've had quite a few find offerings from Almanac (e.g., Honey Saison) and although their NSPs are generally pretty low, it's mostly because of their commitment to using local agriculture, and I still give major props for that. 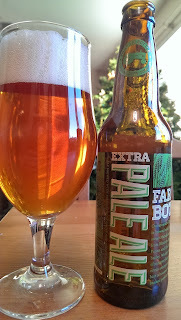 So, I was excited to see this at Bine & Vine on a recent beer-craving inspired trip to the shop--I wanted something easy to drink and flavorful. I noted from the package that it was a "Belgian" pale ale (and "brewed with this, and that", yada yada) and was completely sold. Get your labeling straight, Almanac. I feel cheated! Oh well. Let's see what this beer has to offer. Firstly, it's 6% so it'll hit you harder than a Bud Heavy, for example. 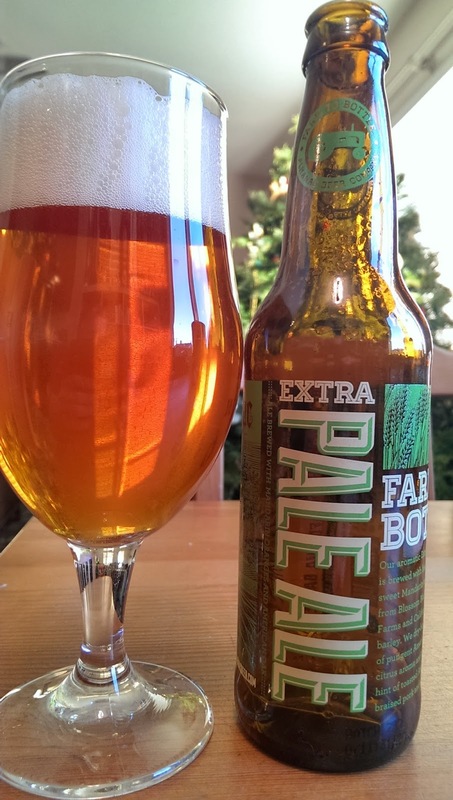 It's mostly a malty, but not too dry, pale ale with a substantial level of bitterness. Pretty good beer actually, but all the oak/mandarin notes the labeling also describes are essentially relegated to the very end of the line (but noticeable if you try, or at least convince yourself). 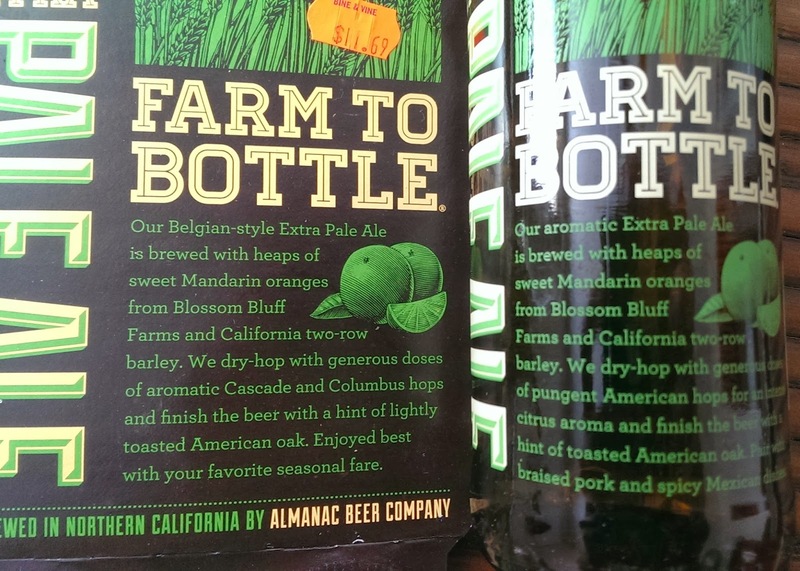 And the NSP is surprisingly high for Almanac, so I'd say give it a chance; and, if they do end up making a "Belgian" version, I'll really be sold.